Situations vary among adult family members of people who drink too much. You might be a drinker yourself, or you may have decided not to follow in your relatives' footsteps, but dealing with an older relative who is often drunk—whether it's a parent, uncle, aunt, or grandparent—will always feel challenging, even when you love the person dearly. As you get older, you may find that your roles become reversed. You may need to take care of them and set boundaries and expectations about their behavior, a shift that will probably not feel completely natural to either of you. Understanding how to approach these situations and conversations helps. If past celebrations have been ruined by your relative's drunkenness, think about whether you should put yourself—and your family or friends—through another painful experience. Your relative might expect to be included in family celebrations or you might think it would spoil the holidays to have a grandparent or older relative absent. But if you know that they will be inappropriate, abusive, or completely unreasonable regardless of what you say or do, you have a right to decline to spend family celebrations with them and to protect yourself and your family from their harmful influence. This is difficult to do, but you are not rejecting your family member, nor do you have completely avoid them over the holidays (unless you want to). Spending a holiday breakfast with them. Even the heaviest drinkers are usually more sober in the morning. But also consider how they might behave if they are hungover, and plan accordingly. Visit and drop off gifts on the day before, instead. Choose a time earlier in the day and keep it limited. Mail or drop off a card or gift before the event and say you will be away at that time. All too often, families fall into a communication pattern designed to avoid conflict and the truth. However, social stigma about intoxication, fear of your relative's anger, and feeling pity towards your relative may encourage you to discuss the real reason you prefer not to spend time with them. If it seems like your relative lies all the time, you may have been brought up to lie and think that this is your only choice. It may even feel that lies are what has held your family relationships together. In one sense this may be true even though the relationships are not authentic or based on trust. While it is understandable that you want to avoid conflict, ultimately, your relative may be more likely to control their drinking behavior around you once they realize it is driving you away from them. Knowing that their time with younger children is being affected might also give them pause for thought. So it might be worth having the conversation with your relative in a tactful way. Be honest and say that you and your family or friends will skip the party, rather than making an excuse. It is not unusual for drinking too much to run in families. There are many reasons for this, both biological and social. However, you are not destined to be a heavy drinker yourself. Your relative may pressure you to join them in a drink, but now that you are older you have an option. If you know that drinking together will only encourage more drinking, don't do it. Instead, use effective strategies for refusing. Treat this situation as you would any type of peer pressure. Even if you do choose to drink, the greatest risk is when both you and your relative are drunk. Your ability to respond appropriately will be impaired and you may end up behaving negatively yourself. These are the kinds of circumstances where the risk of family violence increases—although even if your relative doesn't get violent, dealing with their impaired communication, problematic behavior, and poor role modeling can spoil your day. It's normal and understandable to feel angry, upset, or embarrassed when your relative gets drunk. If they have a tendency to become violent or otherwise abusive, you may also feel fearful or anxious around them or re-experience negative memories from past situations. These feelings are natural and an indication that the situation is wrong, not that you are wrong—even if you are made to feel that you are the problem. Although your relative's drinking is not your fault, avoid any confrontations while they are drunk. They won't be in a good state to listen to reason, and they may become defensive or even aggressive. As alcohol impairs memory, they may not even remember what you said. If you feel you must confront your relative, wait until they are sober—or at least as sober as possible—and calmly explain your feelings about their drinking. Understanding your relative's addiction can help you cope better, too. People often drink because they feel inadequate in some way and alcohol can help them feel like they fit in with others. When drinking becomes a problem, they can't stop without having to face the reasons they started drinking in the first place, which makes it difficult to stop the drinking. Learning how to better support your relative and communicate in a way that won't encourage more drinking can also help. Communication and family support are often very important in recovery from addiction, and could be a helpful step in getting along with your relative and even helping them to eventually face their addiction. No matter how important your relative is to you, there are probably other people who matter to you at least as much, if not more. These people should not be subjected to your relative's drunkenness, and spending time with them should take priority over anyone who insists on drinking. You deserve to enjoy the company of people who respect you and your choices around alcohol, and your other family members and friends deserve to be able to enjoy your company in an alcohol-free environment. In particular, if you have a partner and children, you should prioritize enjoying authentic, low-stress time with them, as this is very important to your childrens' healthy emotional development. Conversely, spending time with an intoxicated relative could be emotionally damaging and harmful to your relationship with them, particularly if they experience or witness any violent or disrespectful behavior, even if it is directed towards you and not them. So politely decline any invitations from your relative involving these other loved ones, now or in the future, if you know that your relative will be drinking. Many children who grow up with a family member who drinks too much dream of saving them. You may crave the person they were when sober, or, if you never knew your relative when they were sober, you may yearn for a relationship with your relative that is everything it should be—supportive and kind. Although your support will help a great deal if your relative decides to change their drinking, you can't save them from their addiction. That is something they can only do for themselves, although others, including you, may be important in their success in becoming sober. 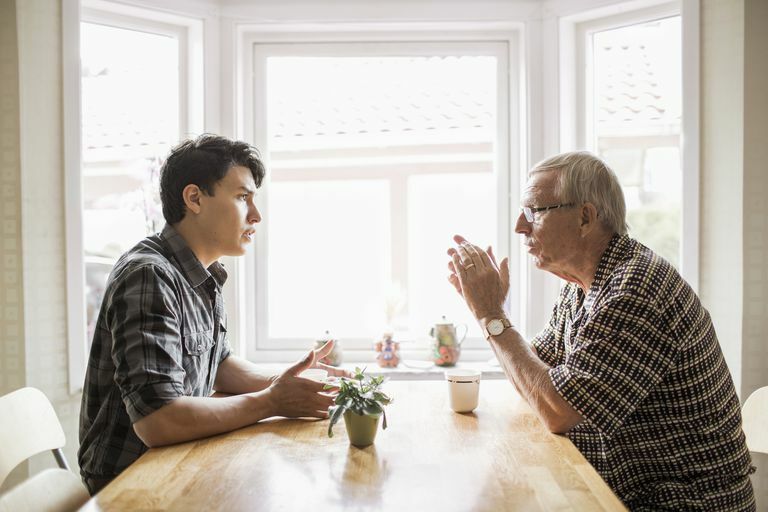 Letting your relative know how much you would appreciate them quitting or cutting down on their drinking, or drinking in a more appropriate way, may encourage them to think about change, but it may also provoke their defenses and denials. You may even find yourself on the receiving end of unfair accusations and blame, which may provoke your own anger. Generally, people who drink a lot don't respond well to other people telling them to stop. Sometimes, families try an intervention, but responses to interventions are unpredictable and there is no research support for the approach. The bottom line is that even if your relative tries to quit because you ask them to, they may not be successful. However, the good news is that those who are successful at quitting often cite the encouragement and support of their family as a significant aspect of what helped them succeed in quitting. So don't give up supporting your relative in their efforts to control their drinking.